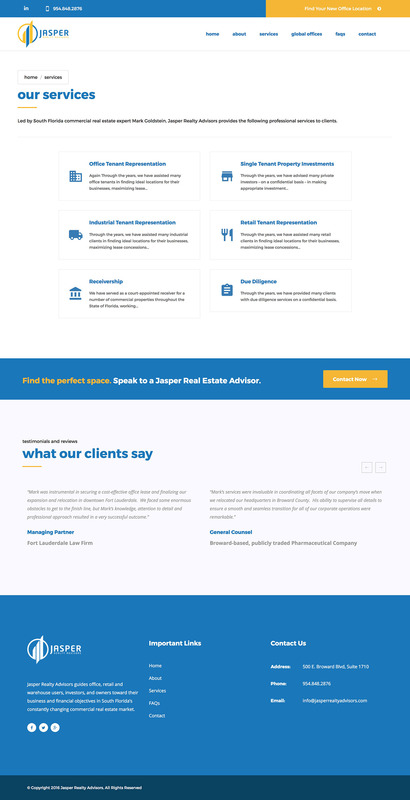 While working at Bricks and Mortar, I developed a commercial real estate website by converting a static template to a WordPress theme. A commercial real estate site I built while working at Bricks and Mortar. The site is sitting on top of a custom Wordpress theme I developed by integrating static pages into Wordpress. I was given a PSD of the homepage and was responsible for building the rest of the pages off of the concept given. I then integrated these pages with Wordpress.